Price: US$ 1,385 for two (2) People. Sri Lanka budget tour (All-Inclusive) that is offered by us will give you the best experience in this tropical sunny Island at best price which we believe will suit you and your family. Upon your arrival at the Colombo International airport we will welcome you and will look after your travelling, accommodation, dining and all the amenities during your holidays over here. 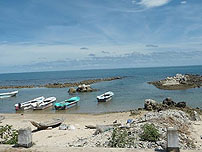 You can enjoy our well planned budget tour that is designed to give maximum benefits for you, your family and friends. Our All-inclusive tour will take you to best beaches, mountains, rivers, ancient cities and many more interesting places all around our country. Sri Lanka is one of the tropical tourist destinations which can give you sunny days with lot of fun filled beach and land activities during your tour over here. Trek through jungles, farm lands, and ancient cities or do whatever you may like to do to make your stay enjoyable in this island nation. There is no limitation for your activities during your holidays over here. Sri Lanka offers the best communication and internet service for your devices with 4G LTE connection, Wi-Fi and IDD calls. So you won't miss a single beat from your office or from your friends through social media websites. In this 8 day budget tour, you can enjoy international cuisine and best Sri Lankan dishes prepared by certified cooks and served in good atmosphere during your holidays..
During this Budget tour we will arrange visits to Tea estates and factories where you will have the opportunities to see how the tea leaves are plucked from the trees and processed in to world renowned Ceylon tea. You can taste different kinds of tea made with different kinds of blends and processing. You will have the opportunity to view Sri Lanka elephants in the wild and will have the opportunity to view and feed baby elephants in the orphanages which are founded to afford care and protection to the orphaned wild baby elephants left near the forests of Sri Lanka. Another important activity over here during your vacation is to sail in the ocean to watch large whales by a specially built boat in the South or East of Sri Lanka, depending on the season. During your trip one of our English speaking private drivers will take you in an air-conditioned private vehicle, and assist you in all the ways to have a pleasant experience in this land. This is another unique travel offers from the Ceylontusker Tours which is popular all around the world for their perfect tour operations. Don't miss this all-inclusive Sri Lanka Budget Tour as this special offer had attracted thousands of tourists from all over the world during the Sri Lanka's tourist season. 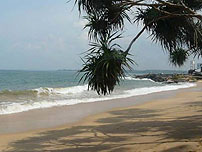 You can request for one 10 or 14 nights Sri Lanka budget tour with us for your family or to have your friends. Please be kind enough to tell number of people and kind of accommodation you are looking for by sending one email to us. 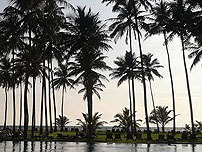 In quick time we will provide you with all the necessary information and rate card for you to select a good all-inclusive Sri Lanka tour package to spend your vacation. Book your tour or keep on reading below. Hot air Ballooning and many more (Check with us). European Dishes or Sri Lanka Dishes.